The Sikkim Krantikari Morcha (SKM) president P S Golay on Tuesday inaugurated seven block-level party offices under Soreng-Chakung constituency of West Sikkim district. This was informed in a statement issued to the media on Wednesday. 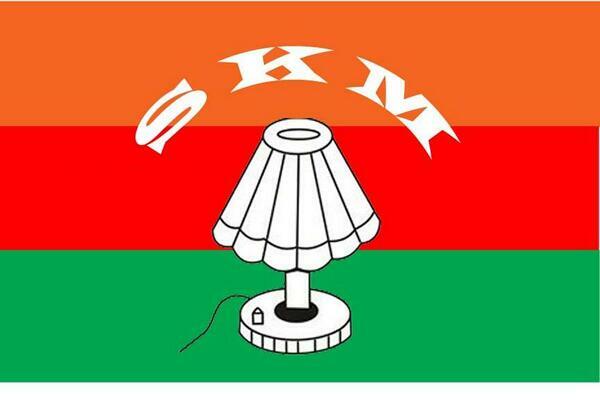 The SKM release further informed that the party office opening programmes were held in a simple manner with an objective to interact with the local people. The block-level offices were set up at different areas under the constituency including Karthok, Ridhang-Timborbung, Mangsari Magarjung, Budang and Chumbong, according to the release. Addressing the gatherings, the SKM president highlighted the need for a ‘fierce urgency’ requiring the participation of the society against the ‘tyranny’ in Sikkim. The current regime has mastered the practice of neo-feudalism, and has employed the practice to subdue and influence the local people, he said. “Now it is time to wake up and I urge everyone to vote not on basis of caste and creed but to secure the future of our Sikkimese society. We fought the 2014 election with vigour even though the time was against us and still managed to secure 10 seats in the State Assembly. In this 2019 election, we got time and the resources and we will win it this time for we have the blessing of our deity and the people. We believe in politics which prevails in truth and facts,” said Golay, according to reports. He accused Chief Minister Pawan Chamling of maintaining double standard. He also maintained that ‘one family, one job’ scheme recruitment has petty salaries while numerous backdoor entries with much higher pay are being done. The practice of such illegal appointment is not new for the current government, he said. He assured that the SKM party will regularise the ‘one family, one job’ beneficiaries within 100 days of forming the government. Golay said the SDF government has started plagiarizing the plans and programmes of the SKM party. The SKM promise to pass ‘Employment Guarantee Act’ at par with MGNREGA but with much better incentives and will assist the youths in every way possible. The SKM president also reiterated the 35 demands placed by the party before the government to be addressed by February 25. “We have placed 35 demands which were promised by the SDF party in the various election manifestos in its 25 years rule. Failure to fulfill the demands would result in 24-hour Sikkim bandh on February 28 followed by massive protests”, he added.